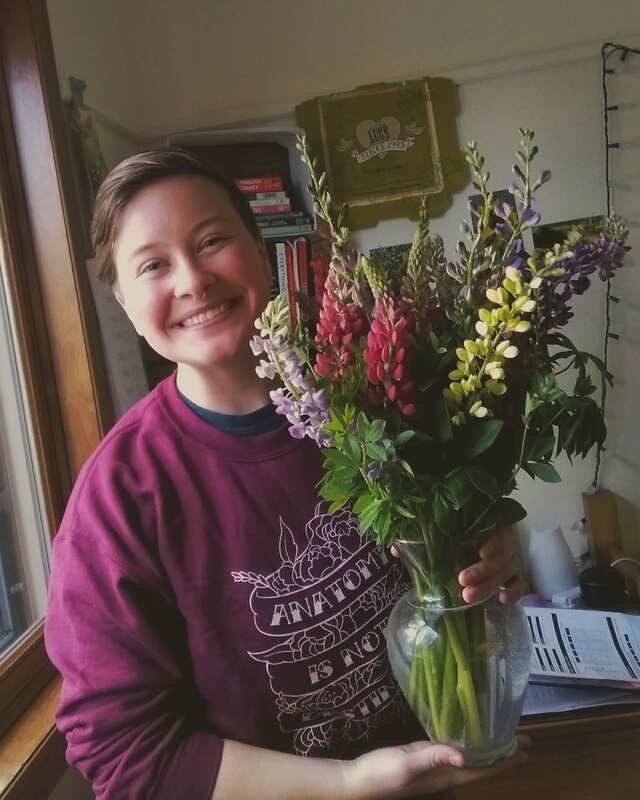 When not working with Residence Life, Liz was a bilingual assistant intern through Eisenhower Elementary this past spring and worked at The Phoenix Bookstore for the past two years! Thank you for choosing to work with us a second time this summer, we cannot wait to see what the rest of the summer holds for you, and the rest of our amazing summer employees! Favorite Part about UWGB: The campus itself, because I think it’s beautiful. Also, the fact that when I came on a tour, they had a folder full of information specific to what I was interested in, and had clearly read over my application thoroughly. I visited like five colleges and Green bay was the only college that had that ready for me. Best Study Spot on Campus: I love going off campus to study, but the library is usually a good spot for me too. A nice quiet room with a window so I don’t feel like a hermit. Current show you are binge watching on Netflix/Hulu: I like to watch Animal Rescue on Amazon Prime because it’s heartwarming and stressful. Hidden Talent: I know the manual alphabet in American Sign Language, and I’ve got a green thumb. I’m pretty big into plants. And fish. I have a fish named Sushi, he’s been with me for almost two years! Are you a cat or dog person: I don’t like to be choosy, but I think I’d like a dog first, and then maybe a cat-but we’ll see what kind of life I end up living-they require long-term stability. Best piece of advice you ever received: “You need to get better at listening” because I talk fast and in long amounts, so I’m working on that. If you could trade lives with anyone for a day, who would it be: I would trade lives with each of my coworkers for a day just to see how they view the world, and also to see if Adrian and I look at colors differently because sometimes I think we might. If you were stranded on an island and could only bring three items, what would they be: A hat, some sunscreen, and a knife block from Liebl lounge.